We at LoveLove Films are thrilled to announce that we were approach by BBC Radio Solent to be their Workplace of the Week starting today, where we will be on The Sasha Twining Show today and every day this week. BBC Radio Solent is the BBC Local Radio service for Hampshire, Dorset and the Isle of Wight and their Workplace of the Week segment on The Sasha Twining Show focuses on a different local company each week. After a short interview with the company on the Monday, five staff members from said company get to choose a song they would each like played on the show from Monday to Friday. Reporter Robin Montague came down to our home Cinechrome Studios in Bournemouth to talk to our MD Georgina Hurcombe about the formation of the company, what we do and her “expert opinion” on what makes the perfect Christmas advert. Within the interview, Georgina spoke about the new John Lewis Christmas advert and the reasons why their adverts became synonymous with Christmas. 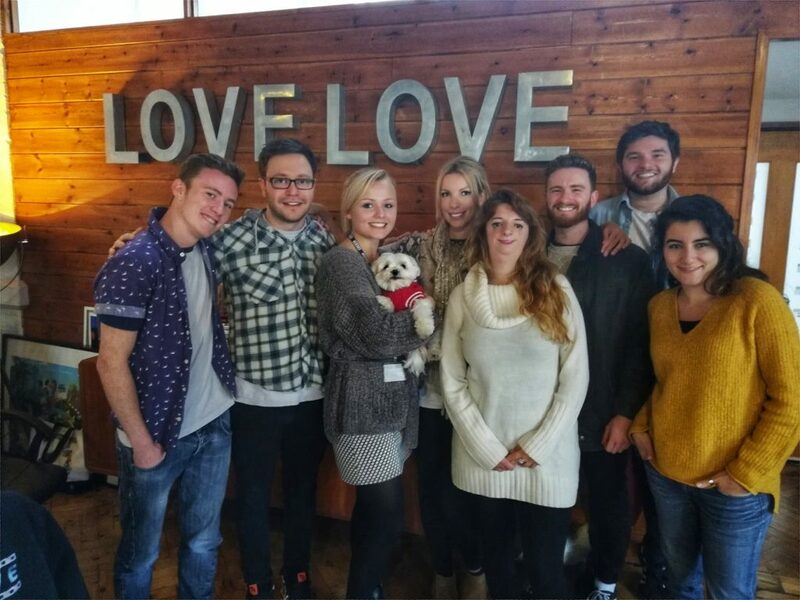 Here at LoveLove we are glad to see growing numbers of companies utilising the power of digital storytelling to create powerful and unique video content. More and more, we are now seeing the importance placed on narrative in advertising; without a good story an advert just gets lost in amongst the over saturated pool of promotion that consumers can ignore. LoveLove Lead Animator Sunny was also featured within the interview segment, talking about how he started in animation and even talking about one of our children’s series’ in development, Pop Paper City. Once the interview was over, Georgina got to request one song she’d like played on the station and cheekily chose ‘Video Killed the Radio Star’ by The Buggles. Thank you BBC Radio Solent for choosing us as your Workplace of the Week this week, it’s been a lot of fun! Tune in every day this week to find out what songs our other team members chose!